It is with great sadness that we announce the passing of Margaret Strautman. She was predeceased by her husband Chuck in 2010. Margaret was raised on a farm between Speers and Maymont, the only child of Frank and Kate Langley, but with many Langley cousin neighbours to grow up with. Mom was a quiet inspiration to her family and through her adventures as a young, single woman, she planted the seed for adventure and world travel in her children and grandchildren. 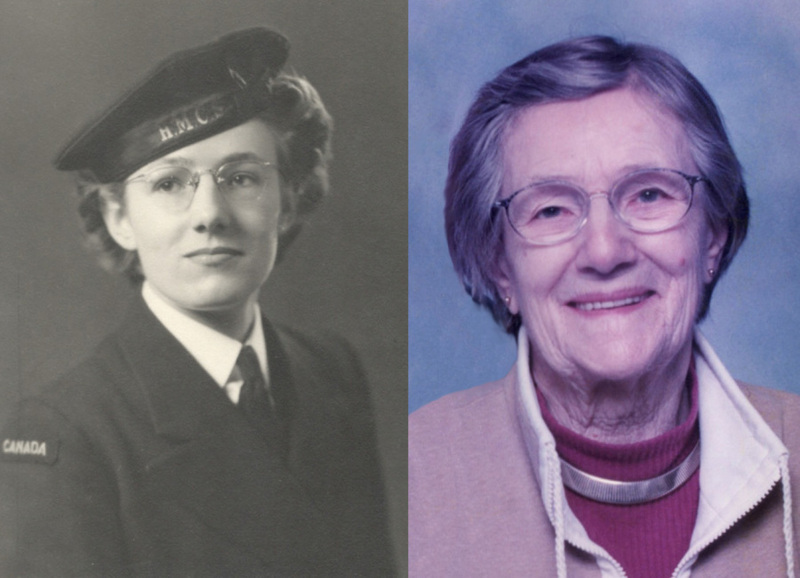 Mom, like many of her Langley cousins, joined up for WWII and served with the Women’s Royal Canadian Navy, from May 1943 to February 1946, including a stint overseas at the RCN headquarters in Scotland. She was discharged to the Nurse’s Residence at the Royal Victoria Hospital in Montreal, where she enrolled in the Nursing Program, graduating in 1949. Mom was never afraid to travel. Special trips included London, England to attend the coronation of Queen Elizabeth II in 1953, a road trip to Los Angeles, driving the LA freeways in her 1939 Ford coupe and taking her young family to Disneyland in LA in 1970. It’s no surprise that all three of Margaret’s children have travelled the world extensively and that her grandchildren are following in the same footsteps. Mom spent time nursing at rural hospitals and the First Nations hospital in North Battleford, but eventually married Chuck Strautman and moved to the farm between Speers and Mayfair. She had three children – Connie (Bob), Eddie (Janice) and Billy (Teresa) – raising them with all rural life experiences of the day. Grandchildren Hannah, Jacob, Alex and Ben have all experienced the benefits of rural life as they grew up. Margaret farmed with husband Chuck, brother-in-law Fred and son Ed for close to 50 years, with her original homestead receiving a Century Farm award in 2003. Mom made great community contributions, with figure skating clubs in Mayfair, Maymont, Hafford and North Battleford; the rink in Mayfair; Kinettes; 4-H in Speers and Mayfair; Community Centres in Speers and Mayfair; plus the Speers Legion. She loved her grandkids and seldom missed hockey, ball, dance or school activities with all her grandchildren. A special family place was the cabin at Chitek Lake. Mom moved a bunkhouse to a lakeside lot in the mid-60s, to provide a northern holiday getaway for family and friends. Alzheimer’s is a cruel disease. It robs you of your memories, it prevents you from having meaningful conversations and eventually claims your dignity and quality of life, relegating you to simply existing. We were fortunate to have the services of two phenomenal caregivers - Nerlita and Nelma, sisters from the Philippines - who provided unbelievable care, love and assistance. We are forever thankful for all they and their families provided. Mom was kept safe, comfortable and in loving hands through her final years and was able to live in her own home up until her final days. Please donate in Margaret’s memory to the Saskatchewan Alzheimer’s Society, the Palliative Care Unit at St. Paul’s Hospital or the Saskatchewan Legion. A Memorial Service will be held at 1:30 p.m. on Saturday, November 10, 2018 at McClure United Church (4025 Taylor St. E.) with Rev. Debra Berg presiding. Arrangements in care of David Schurr – Mourning Glory Funeral Services (306) 978-5200.